A little less than a year ago Colleen Smith came to LexMedia with the idea to produce a local talk show. She wanted to create a show featuring the people who make up the diverse and interesting fabric of Lexington. Teaming with Producer, David Ilsley, she quickly succeeded… going from start up to star. Colleen is now recognized everywhere she goes in town, from the grocery store to the library, people compliment her on her show, her guests and her on-air presence. It turns out that the people of Lexington aren’t the only ones who’ve noticed. The Alliance for Community Media-North East region has recognized their efforts. 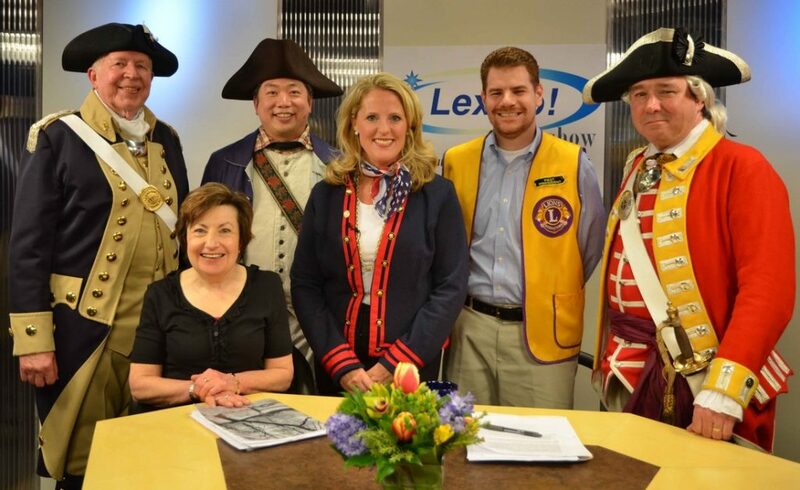 The LexGo Patriot’s Day Special show won the 1st place prize in the Talk Show category beating contenders from MA, NY, CT, RI, VT ME and NH. Way to go Colleen and David! Congratulations! If you’d like to watch this episode go to www.lexmedia.org, click on the ‘Watch Us’ tab in the top menu then ’on-Demand’ then ‘LexGo talk show’ and then scroll down to Episode 7.